Wahoo has improved their 3rd generation KICKR while still providing their touted power accuracy, professional grade durability, and realistic ride quality. 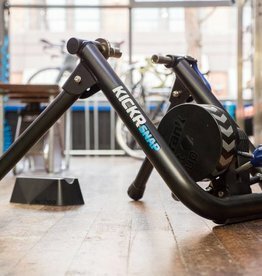 The New KICKR (less formally known as KICKR2) provides a more quiet ride than prior versions, increased versatility across your entire fleet of bikes, now including those thru axle and disc brake options. 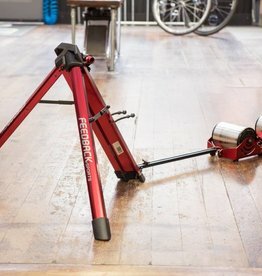 With additional tools such as the KICKR Climb, third party sensors, and apps, your indoor trainer sessions will elevate you to the next level. Feedback Omnium Portable Trainer, ideal for travel, quick access, and easy storage.